Light Requirements: Full sun, tolerates light afternoon shade. 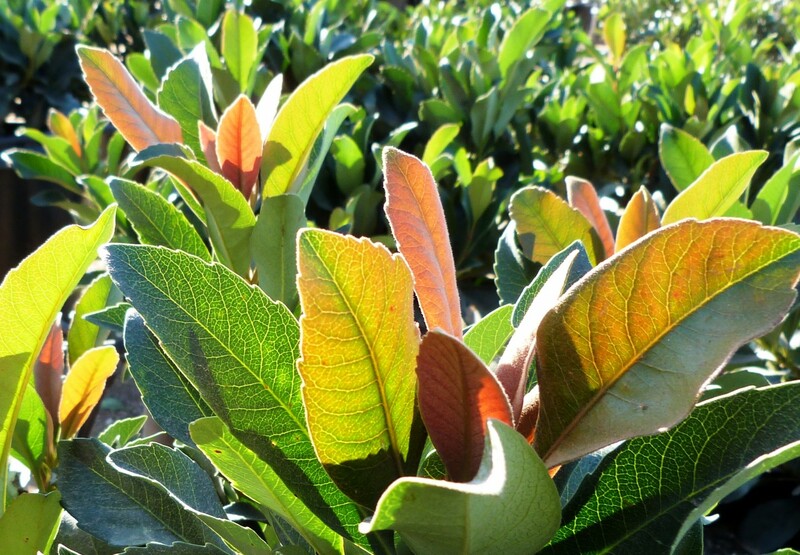 More commonly known as Loquat, this beautiful evergreen shrub sports copper-tinged foliage throughout the year. Plants explode with fragrant pale pink flowers in late-summer to fall, followed by a sweet winter fruit in very warm climates. Fruit can be eaten fresh or cooked. The flowers resemble those of Indian hawthorn because this Loquat is thought to be a hybrid between Eriobotrya deflexa and Rhaphiolepis indica (Indian hawthorn). Loquat do best when planted in a sunny location with well-draining soil. ‘Coppertone’ will tolerate a variety of soils and even high pH as long as drainage is adequate. In heavy clay, plant on slopes or adequately amend soil to improve drainage. Plants do need regular moisture in order to successfully establish. Mature plants will still require supplemental water. To protect plants from winter cold snaps, plant on a southern exposure. Makes an excellent standard with selective pruning and training. Plants can be used as large container specimens or espaliered along walls. Allow to grow into its natural umbrella-shaped form when placed in informal borders or natural plantings.